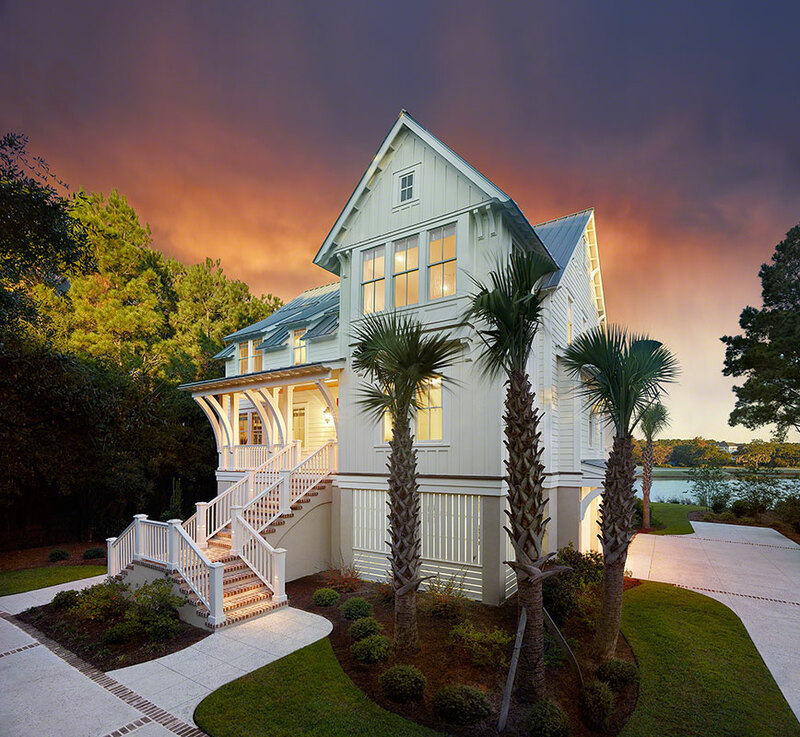 This is a waterfront home in a golf community in Debordieu, South Carolina. This home features open light-filled living spaces that overlook the water and the golf course beyond. 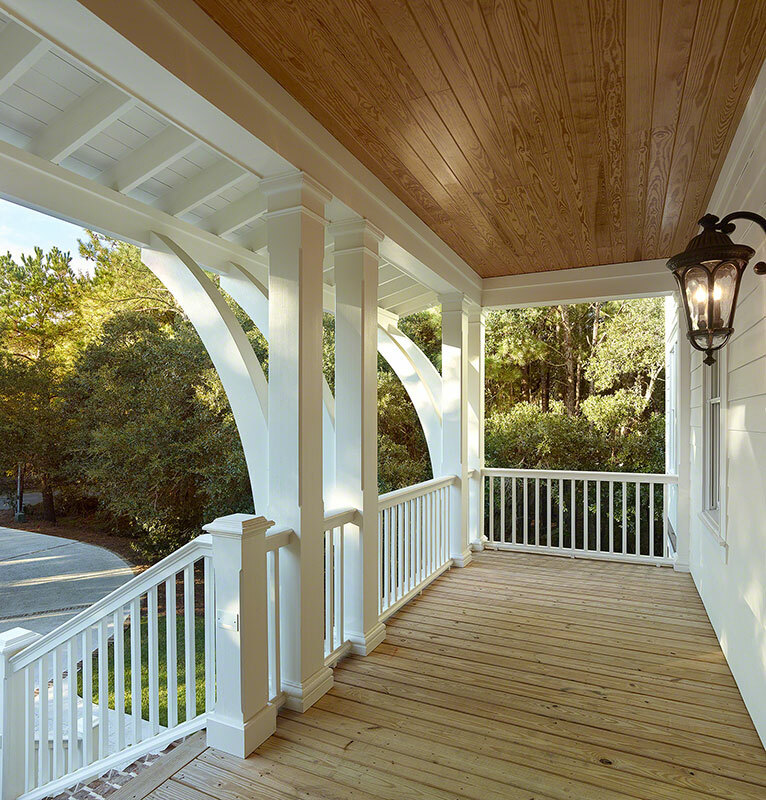 The front porch showcases large unique brackets, the elevated rear porches offer plenty of space for outdoor living and provide views of the surrounding coastal landscape. 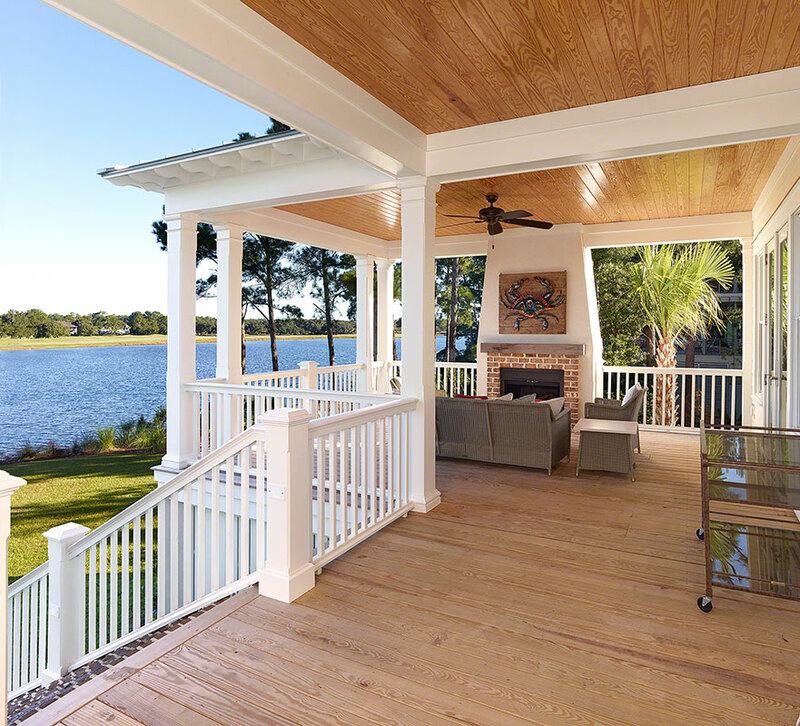 The home has two large master suites, the lower master spills out onto the rear porch, where the master upstairs opens into a large study overlooking the water.